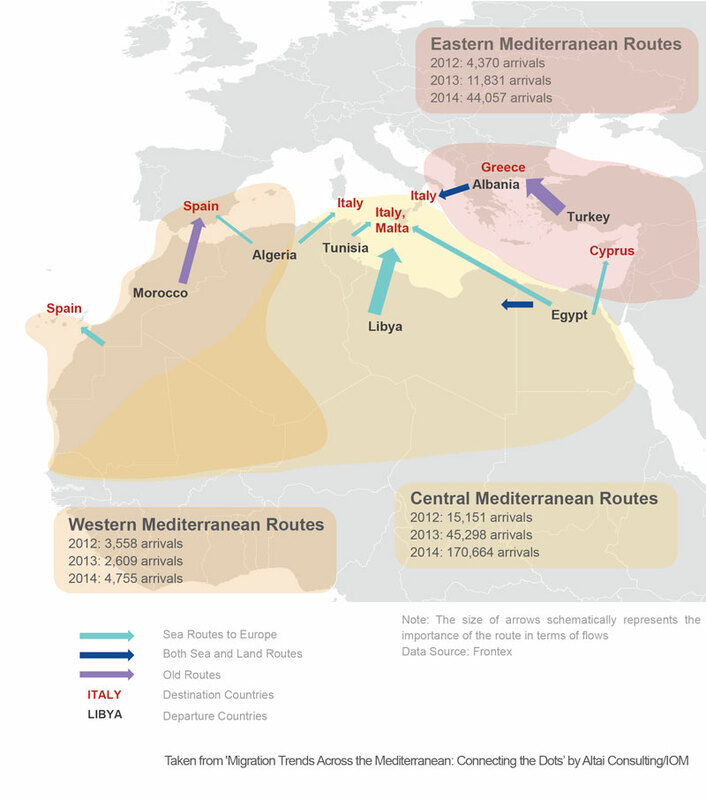 Egypt - Altai Consulting and IOM today launch “Migration Trends across the Mediterranean: Connecting the Dots”. Based on unique and in-depth qualitative research in countries along the Western and Central Mediterranean routes, the study adds new insights to the ongoing debate over migration across the Mediterranean. Amongst its key finding is that not all migrants intend to go to Europe: many have migrated within their region first and moved on, sometimes years later, after being unable to find the stability, safety, and opportunities they hoped for. The turmoil in Libya has created additional pressure for migrants to leave as the risks they face in the country become too high. Migrants would prefer to move regularly if the options were available to them. Instead, they are compelled to resort to smuggling networks. The study reveals the loose, decentralized set-up of the smuggling industry in North Africa, which challenge conventional anti-smuggling measures. The study also shows that push factors, propelling people to leave their countries, are stronger than any effect exerted by the ready availability of smuggling services or by rescue operations in the Mediterranean. “For most of the people coming from Africa, they move out because they have problems. They would not do this dangerous journey and come to a country where they do not speak the language, where they are a stranger, where they are harassed and abused, for no reason,” said a Ghanaian migrant interviewed for the study in Italy. According to IOM’s Missing Migrants Project 115,000 migrants have crossed the Mediterranean in the first five months of 2015. In the same period, the sea had claimed more than 1,850 lives. “It is my hope that this report will add nuances to the ongoing political debates on both sides of the Mediterranean and humanize the often distorted image of migrants and migration in political, public and media discourse,” said Pasquale Lupoli, Director of IOM’s Regional Office for the Middle East and North Africa, which commissioned the study.